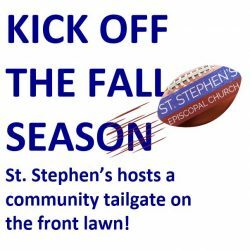 Food, friends, festivities, fun fall games and traditional tailgate fare (beverages too!). We’ll have kids’ activities and a church tour. Sport your favorite team’s regalia for a chance at a door prize. Come for the service, stay for the fun!